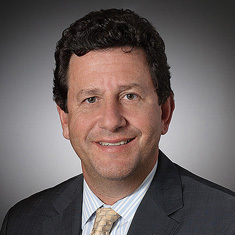 David L. Goldberg represents corporate and individual clients in a wide range of securities litigation and regulatory enforcement matters, including class actions, broker-dealer litigation and arbitration, commercial litigation in federal and state courts involving contract, fraud and fiduciary duty claims, raiding and recruiting litigation, employment disputes, regulatory enforcement investigations and inquiries, and internal investigations. David's professional experience includes in-house, government and law firm service, providing him with a deep knowledge of the litigation and regulatory challenges facing major financial institutions, experience dealing with government regulators and trial practice acumen. Prior to joining Katten, David served as executive director/senior associate general counsel within the Litigation and Investigations Group at UBS Securities LLC, where he managed many of the firm's largest investment banking litigations and regulatory investigations. His experience extends to virtually every type of major class action and securities litigation, including residential mortgage-backed securities (RMBS), auction rate securities, collateralized debt obligations (CDOs), structured products, affiliated bank sweeps programs and market timing cases. David has worked across all the key product areas that comprise an integrated modern financial institution, including equities, fixed income, investment banking advisory and wealth management franchises. David also spent seven years at UBS Wealth Management Americas, where he personally handled hundreds of retail investor arbitrations, litigations and regulatory matters. David served as an Assistant US Attorney in the US Attorney's Office for the Eastern District of New York, where he was presented with the John Marshall Award, among the highest honors given by the US Department of Justice, by US Attorney General Janet Reno. During his tenure as an Assistant US Attorney, David tried numerous complex cases to verdict and engaged in extensive appellate advocacy before the US Court of Appeals. Successful defense of state-licensed industrial bank against allegations of wrongful liquidation of securities collateral in action seeking more than $60 million. Obtained summary judgment dismissing breach of contract and fiduciary duty claims; client was awarded attorney’s fees/costs incurred in successful defense of action. Successful representation of employer in breach of contract dispute with former employees; won TRO and preliminary injunction in state court action to enforce restrictive covenants. Successful motion for change of venue in ISDA swaps litigation. Successful representation of international banking client in trading dispute; won dismissal and First Department appeal. Successful representation of US-based broker-dealer in federal and state court consumer protection statutory litigation; won dismissal of class action claims. Successful representation of registered representatives in FINRA investigations resulting in no formal actions. Successful representation of US-based broker-dealer in FINRA arbitration proceedings related to alleged wrongful liquidation claims; FINRA arbitration panel awarded less than 4% of claimed damages after two-week evidentiary hearings. Representation of international financial institution in insurance policy dispute. Representation of defendant in RICO action. Successful representation of international financial institution in RMBS class action litigation. Successful representation of international financial institution in FINRA arbitration proceeding arising from credit crisis market failures. Counsel in connection with the internal investigation/review of fee dispute for a global investment banking firm. Counsel in connection with the internal investigation/review of trading loss for a global investment banking firm. Representation of the successor in interest of an industrial partnership in an ICC arbitration involving breach of contract claims.